In the 20 months since his last bid to end Obamacare flatlined, there has been more talk than action on the issue from Donald Trump — mainly to complain about how the late Republican Sen. John McCain cast the critical vote against him. Trump now is stepping up his offensive. In an abrupt shift, the Justice Department said it supports a federal judge's ruling that the entire Affordable Care Act should be overturned, and not just protections for people with pre-existing medical conditions and limits on premiums charged to older, sicker people. “The Republican Party will soon be known as the party of health care," Trump said as he arrived on Capitol Hill for a meeting with Senate Republicans. "You watch.” It was unclear how Trump expected to prevail in a fight that he lost when the GOP still controlled the House. As for the outlook in the courts, five Supreme Court justices — a majority — who upheld the law in 2012 are still on the bench. It's also an electorally risky move approaching 2020. Obamacare has grown more popular in recent years. Democrats believed the issue helped them reclaim the House in the 2018 midterm elections, and polls suggest growing support for a bigger government role. Repeal of Obamacare in its entirety would risk making more than 20 million people uninsured, according to The Associated Press. A new Quinnipiac poll Tuesday found voters by 55% to 32% would prefer to improve rather than replace the health care system. With some Democratic presidential contenders pushing Medicare-for-all ideas, the poll found voters by 51% to 30% supported allowing adults the option of buying into Medicare while not eliminating private insurance. Democrats welcomed the change of subject after Trump's victory lap at the end of special counsel Robert Mueller's Russia investigation. "This is actually an opportunity for us to speak to the American people with clarity," House Speaker Nancy Pelosi said. “The GOP will never stop trying to destroy the affordable health care of America’s families." House Democrats on Tuesday unveiled legislation to shore up the ACA and expand enrollment to millions more people. “In this House, with a Democratic majority, we’re here to strengthen those protections and to lower health care costs," Pelosi said. Veto stands, but will wall rise? 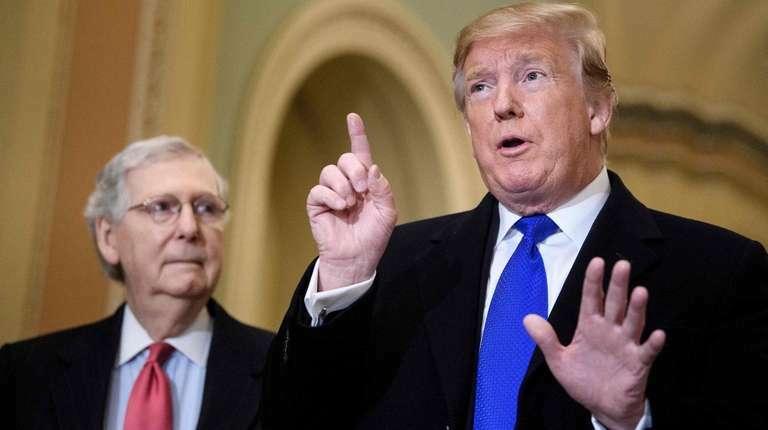 As expected, the Democratic-led House failed Tuesday to muster the two-thirds vote necessary to override Trump’s veto of a resolution to stop him from using an emergency declaration to divert $3.6 billion to a Mexican border wall. The battle now moves to the courts, reports Newsday's Tom Brune. On Monday, ahead of the House vote, acting Defense Secretary Patrick Shanahan announced he would shift $1 billion in military funds to build a 57-mile section of “pedestrian fencing,” roads and lighting along the border. The Pentagon protected a Long Island project — the long-planned $20 million construction of building for security forces training, communications and a fitness center at Gabreski Air National Guard Base in Westhampton Beach. The Wall Street Journal reported that among states and territories with projects at risk, Puerto Rico has the most, at $402.6 million. The Washington Post reports Trump has been complaining that too much federal money is going to Puerto Rico, which recently saw its food-stamp funding cut. The effort to get the Boeing 737 Max 8 airliner back in the air and rebuild confidence in its safety after two deadly crashes is a challenge for the Trump administration as well as the company. That's because any new move to exercise federal oversight could run up against an order Trump issued two years ago that agencies must abolish two regulations for every new one they introduce, writes Newsday's Dan Janison. "Say, for a moment, it is found that the recent issues with Boeing spell out, very clearly, that a new regulation is needed in the skies,” asked Senate Minority Leader Chuck Schumer. “What two aviation regulations would potentially be eliminated?" Boeing, a big player in Washington with connections in both major political parties, has pushed the federal government in recent years to cede more FAA safety responsibilities to the company. Education Secretary Betsy DeVos Tuesday defended a proposed 10% cut in her department's budget, including the $18 million federal contribution that supports the Special Olympics for people with disabilities. Testifying before a House panel, DeVos suggested the program is better supported by philanthropy and added, "We had to make some difficult decisions with this budget." Her budget plan also calls for eliminating billions in grants that improve student achievement by reducing class sizes, fund professional development for teachers, help increase the use of technology in schools and improve school conditions, the Detroit Free Press reported. She would increase funding for charter schools by $60 million. Some of Trump's allies have tried to nudge him to take the win, move on and stop venting over Mueller's Russia investigation, which left him in the clear of criminal allegations. "I would say to the president very gently, when you get what you want, leave it alone," Sen. John Kennedy (R-La.) said on MSNBC. "It's okay to have an unexpressed thought, and I said yesterday, and I don't mean any disrespect, but don't be a meathead about this." Sen. Lindsey Graham said in an interview with Axios that while they were waiting it out at Mar-a-Lago last weekend, he told Trump: "If you really want to screw over your enemies, just be quiet for a while and be happy." Trump's not done. 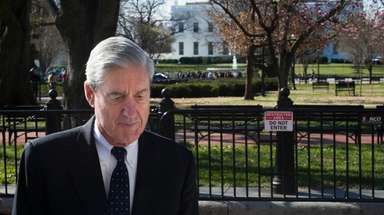 Speaking to reporters ahead of a meeting with Senate Republicans, Trump said the Mueller results "could not have been better,” but he insinuated the Obama White House was behind the investigations and took another shot via Twitter at the "Mainstream Media" who "pushed the Russian Collusion Delusion." 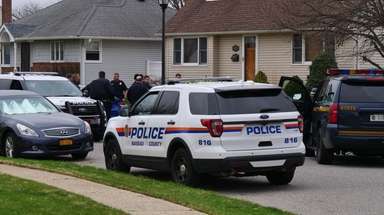 For more, see Newsday's story by Laura Figueroa Hernandez. Separately, Figueroa writes on how Mueller's no-decision on obstruction of justice underscores the difficulty of proving such cases, according to former federal prosecutors and legal experts. That hasn't stopped the second-guessing from Trump foes who expected more from Mueller. Democrats in Congress are faulting him for punting the obstruction question to Attorney General William Barr and Deputy Attorney General Rod Rosenstein, writes Politico. They also argue he should have pushed more forcefully for a face-to-face interview of Trump instead of accepting written answers. Even Trump's lawyers were surprised that Mueller took no final position on obstruction, reports NBC News. He could have made a recommendation he knew would be overruled by the Justice Department, but that disagreement would have been reported to Congress. The Quinnipiac poll found a vast majority of voters — 84% to 9%— want Mueller's report made public. A Justice official said a version will be released in "weeks, not months." The Mueller findings won't reconcile the political feud between senior Trump aide Kellyanne Conway and her husband. "If the charge were unfitness for office, the verdict would already be in: guilty beyond a reasonable doubt," George Conway wrote in a Washington Post op-ed. Trump says he isn't thinking about pardons, but George Papadopoulos, the first campaign aide charged in Mueller’s investigation, said his lawyers have applied for one. A panel of Manhattan federal appeals judges on Tuesday reacted with skepticism to Justice Department arguments that Trump should be free to block followers from his Twitter feed because it’s a personal account, not a public forum, reports Newsday's John Riley. No matter what else, here's something on Sen. Elizabeth Warren that LIRR riders can relate to: A video shows the 2020 Democratic contender sprinting into Penn Station and down an escalator, coffee cup in hand, to make sure she isn't late for a train. If the 69-year-old Massachusetts Democrat is ever in a foot race with Trump, bet on her. The mayor drawing the most 2020 interest from New York City Democrats isn't Bill de Blasio, writes The New York Times — it's Pete Buttigieg from South Bend, Indiana. Democratic presidential candidate Kamala Harris proposed giving the “average teacher in America” a raise of $13,500, or 23% in base pay. The plan would cost the federal government $315 billion over 10 years.